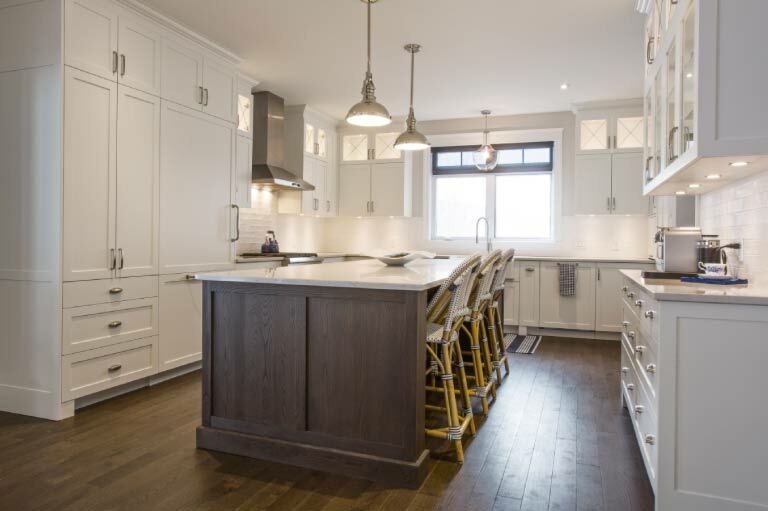 Fine Line Cabinets & Countertops offers Grande Prairie home owners a hands-on experience while choosing the custom kitchen cabinets of your dreams. We know this process can be challenging and overwhelming, and we’re here to walk you through the various options. The first thing you should do is get an idea of how you’d like your new kitchen to look. Do you like modern, classic, traditional, cottage or a blend of styles? Do you want a white kitchen, a natural wood kitchen, or do you want some colour? Find kitchens that you love in magazines and on websites, and bring them in when you visit the Fine Line showroom for an initial consultation. While you should have a budget number in mind, we are happy to help you fine tune your numbers to get the most value according to your specific needs. We recommend you allow for some extra budget for a few special “must-have” upgrades. Measure your room’s wall dimensions, windows, door openings and ceiling height, and bring those into our showroom. We will use this information to design your kitchen and provide you with a 3D view of your project to give you an idea of what the final product will look like. Once we have completed the general layout, the next step is to choose the door style, sinks and faucets, decorative hardware and countertops. This will allow us to quote your complete project. Will you need an installer? Hiring a professional will save you time and money. Fine Line has knowledgeable and professional installers on staff, and depending on your needs we can quote the entire project from removal to supply and install. Once you have seen the final 3D design with multiple views, elevations and details like drawer hardware and cabinets, it is time for you sign off on the design. When the order is finalized, it will take anywhere from six to eight weeks to complete the project. Our suppliers are the best in the business, and we are confident you’ll be pleased with the final product. Fine Line is dedicated to quality work and we want to make sure the whole process goes as smoothly as possible. 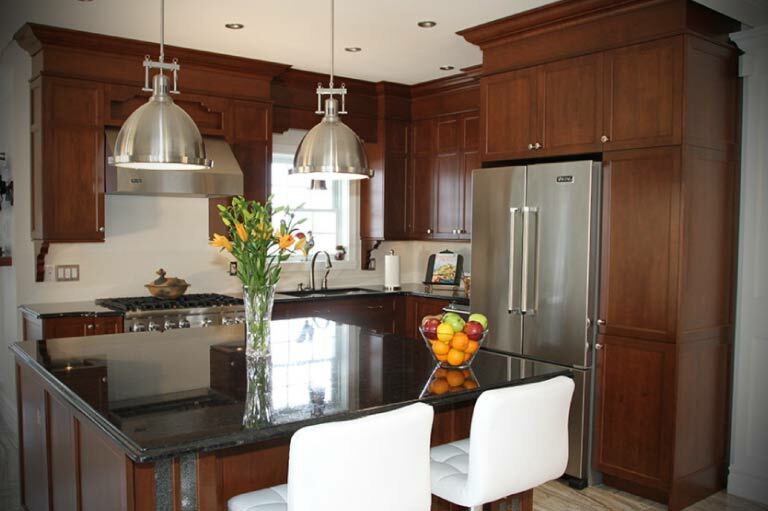 We’ll go through over every detail to ensure you are satisfied with your new kitchen cabinets. We invite you to drop by our showroom to meet the team, see our wide range of options and talk over your plans. We look forward to helping you create the kitchen of your dreams.